Beaches are one thing, but the serenity of dipping in a perfect pool is quite another. From the vistas to the green forest to the dizzying panoramas of skyscrapers, here are 5 eye-popping hotel’s swimming pools in Vietnam that will turn your stay from memorable to unforgettable. Located 18km from the town, Topas Ecolodge places on a Sapa’s hilltop, surrounded by the stunning terrace fields. 33 white granite bungalows, roofed with palm leaves overlooking the lush mountain and rice fields. The cozy interior is made of wood, rattan, and bamboo making it environmentally friendly. Add to its perfection is the infinity pool. The pool has an incredible view of the surrounding peaks and valleys. Immersing yourself in the warm water gives you nothing but relaxing. The pool bar is just a few steps away, easy to get some cocktails. Topas Ecolodge has been listed as one of the 21 places to stay if you care about the planet by National Geographic. 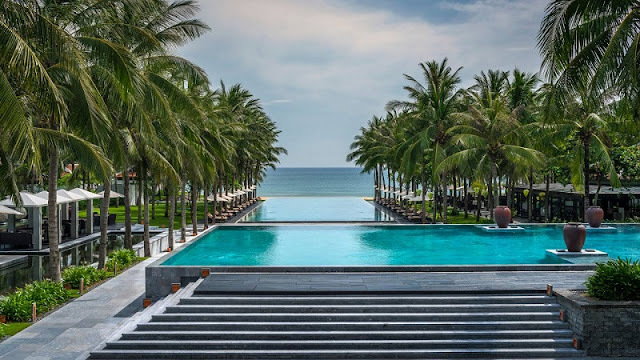 Just in the ancient town, Hoi An, is Four Seasons The Nam Hai. 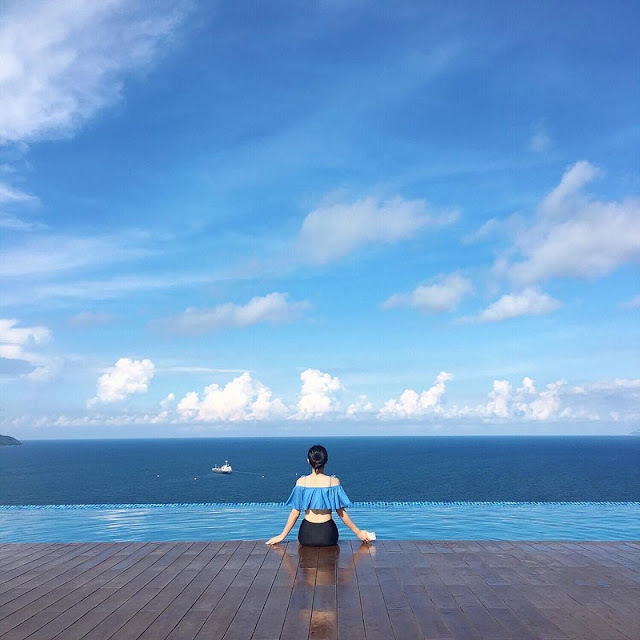 This luxury resort owns 100 inspiring villas which are built harmonically to feng shui principles and positioned to ocean views. The highlight of this beautiful area is gorgeous pools surrounded by elegant loungers and palms. 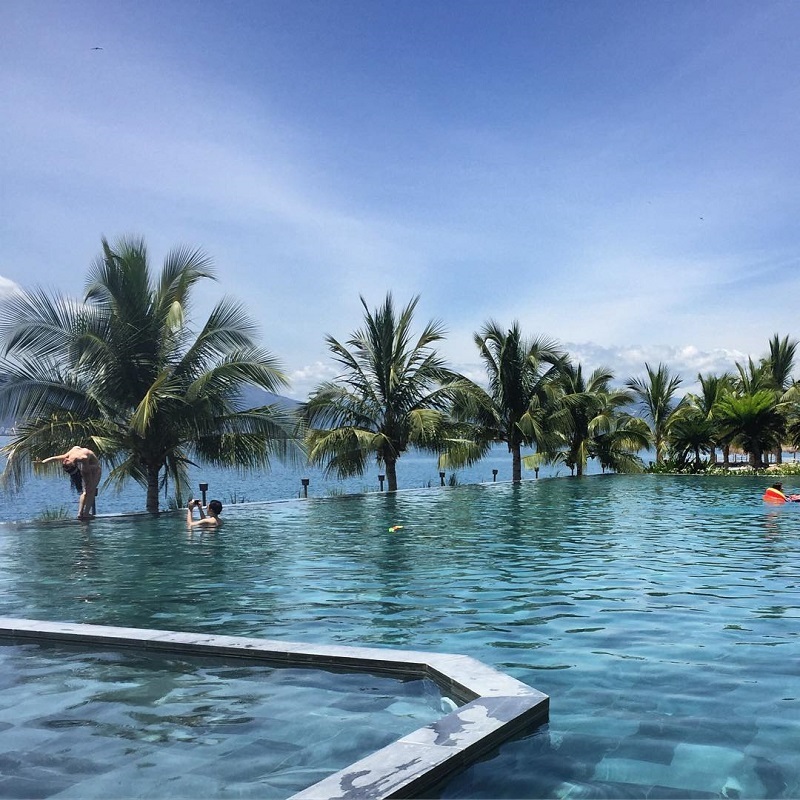 The pools cascade down three levels to the pristine Ha My beach, each has an infinity edge that merges perfectly with the sea beyond. This pool is located on the rooftop of the 23-storey Alacarte hotel. 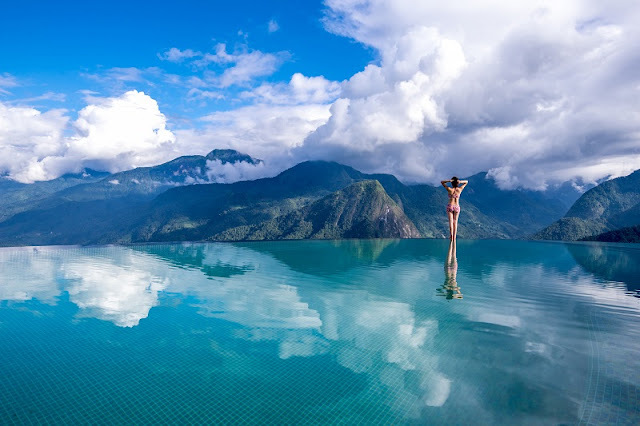 This is the first infinity pool on the top floor in Vietnam. From here, visitors can see My Khe beach, which was ranked as one of the six most beautiful beaches on the planet by Forbes. If you need a comfortable getaway, Amiana Resort is the ideal choice because of the charming scenery, luxurious restaurant or friendly staff attitude. In addition, Amiana Resort has two swimming pools with salt water and fresh water with beautiful views for visitors. From the pool, you will admire the beautiful coastline, gentle and like to feel in harmony with the nature of the blue sea. The pool at Belvedere Resort in Tam Đảo offers views of the surrounding mountains. 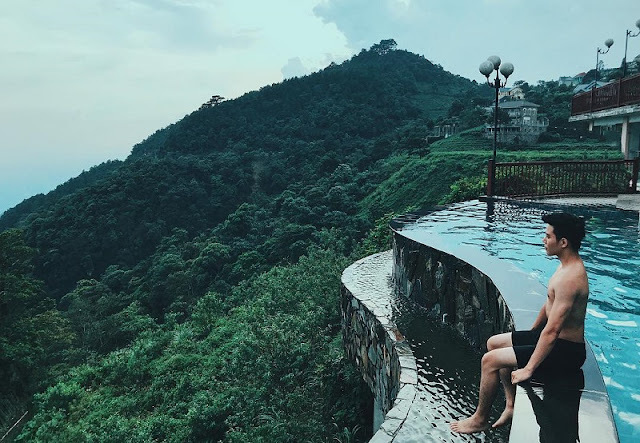 Due to the overflowing design of the pool, the location is high so visitors can have a dip in the middle of the mountain. This is one of the places where visitors can relax free in the resort and are very popular.